Happy Easter & April Fools’ Day! I don’t remember Easter and April Fools’ Day landing on the same day when I was a kid. I’m sure if it had, my dad would have pulled some sort of prank on us like hiding vegetables instead of chocolate eggs or something. Ha! Did you play a trick on your kids today? I’m not a big fan of pranks so nothing goofy going on here today. What makes me laugh are puns! If you remember our Valentine’s Day puns you probably already know this! 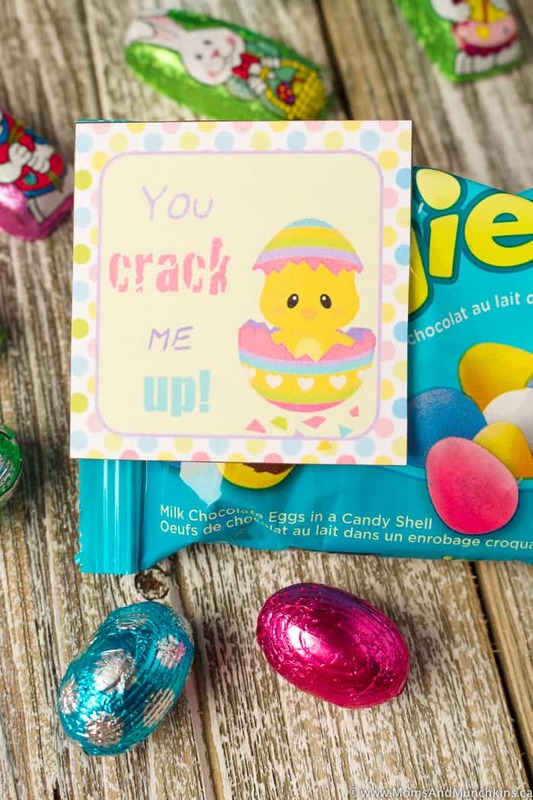 So for Easter this year, we’ve created some cute, and free punny Easter cards for you to print out for your kids. 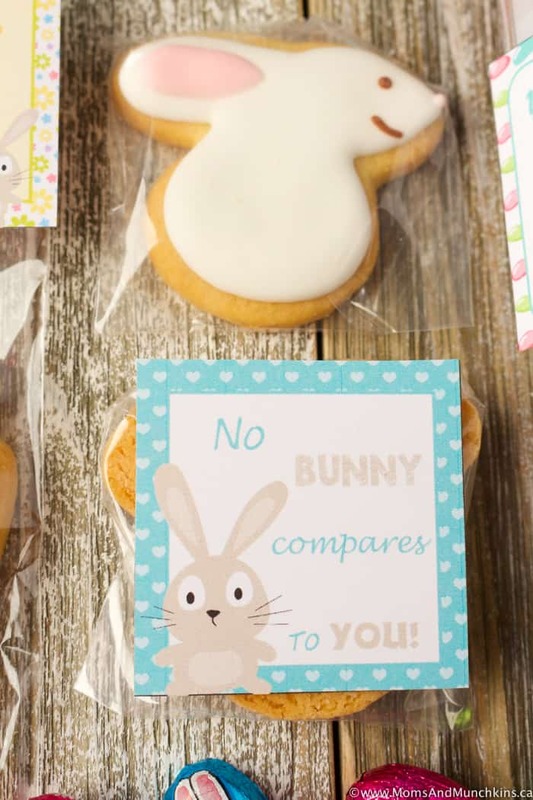 We used these as tags for Easter cookies as a classroom favor for my son’s classmates this year. Whether or not grade one kids understood the puns or not, I have no idea. Ha! 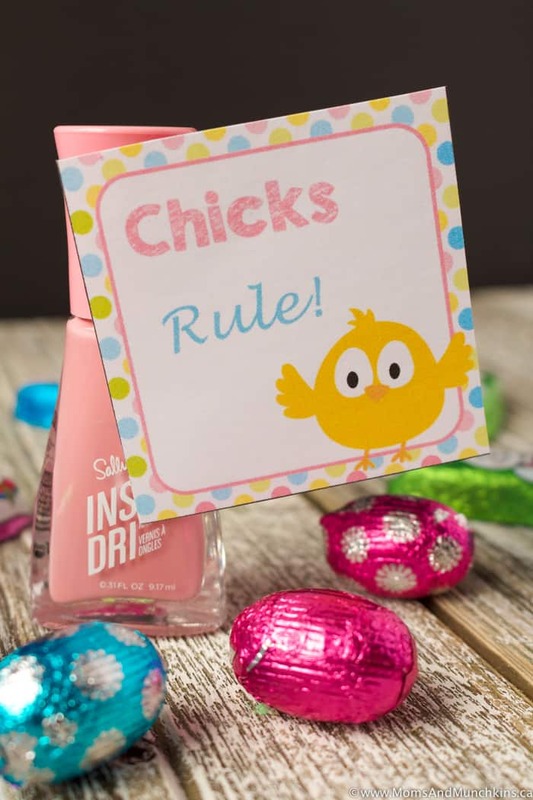 Let’s start off these Punny Easter Cards with the one non-food favor I have here – Chicks Rule! I paired this with a nail polish but this would go great with things like lip glosses, Peeps marshmallow chicks, nail file, hair accessories, etc. The only limit here is your imagination! 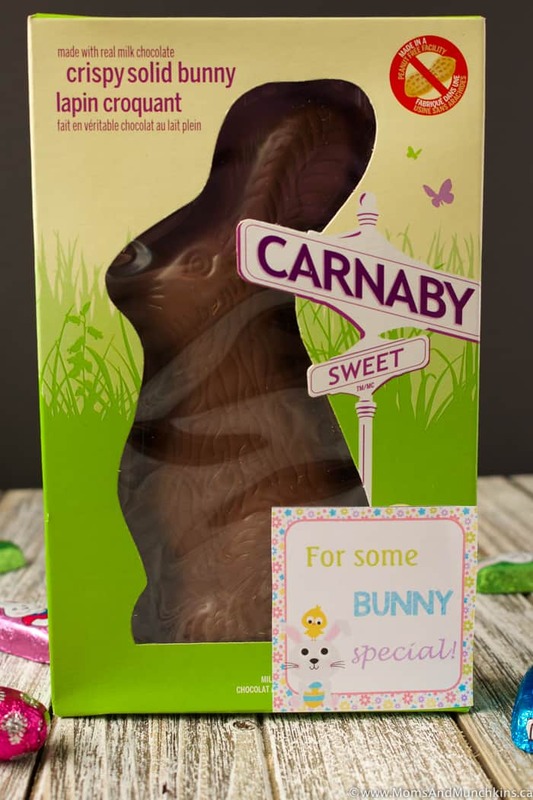 No Bunny Compares To You – I paired this one with a bunny sugar cookie but this would pair perfectly with any chocolate or gummy bunny candies. 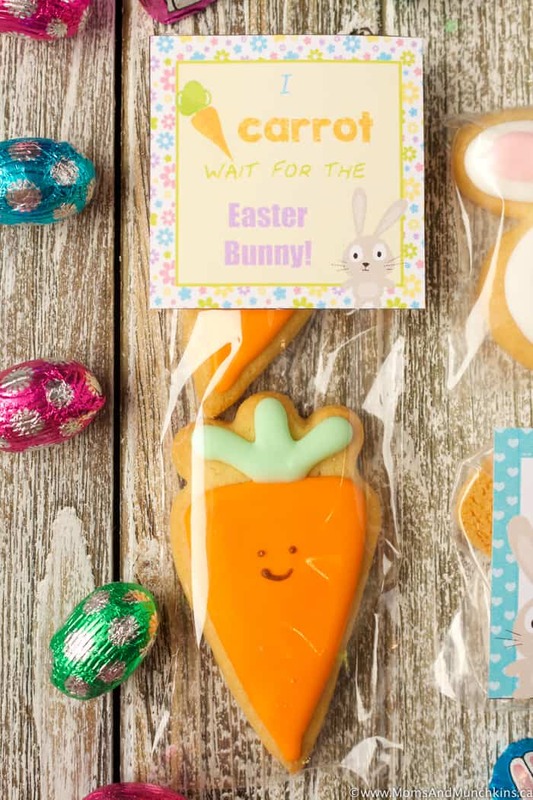 I Carrot Wait For The Easter Bunny – I paired this with a carrot-shaped sugar cookie but this would be cute with some mini homemade carrot cupcakes too! 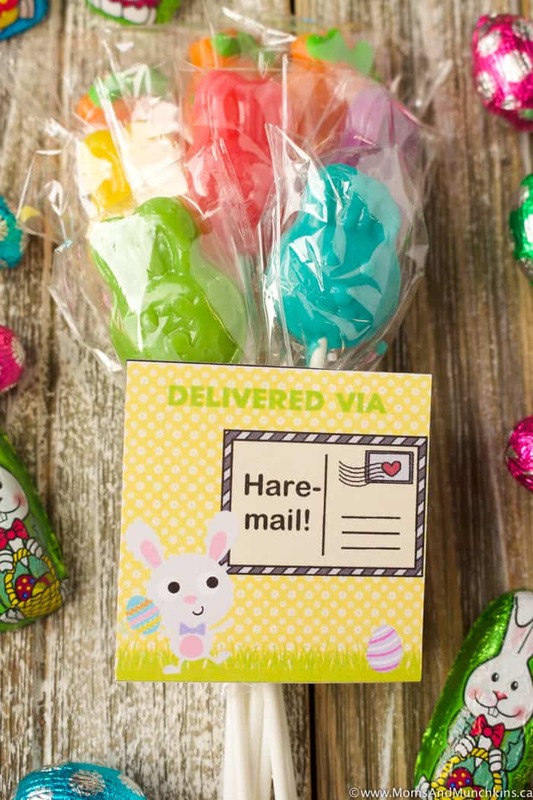 Delivered Via Hare Mail – I paired this with some bunny and carrot lollipops but this would be great with a non-food favor set too like note paper and an Easter pencil. You Crack Me Up – I paired this with some chocolate Easter eggs. 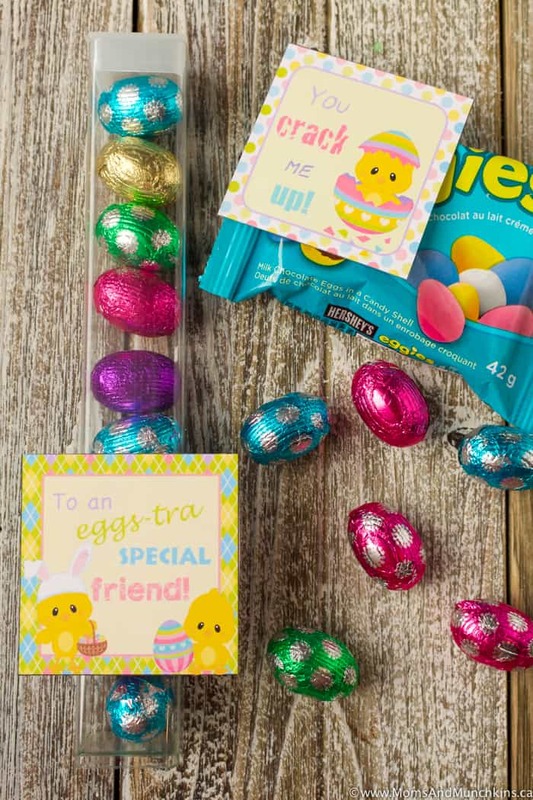 There are lots of chocolate eggs and candies to choose from for this favor! 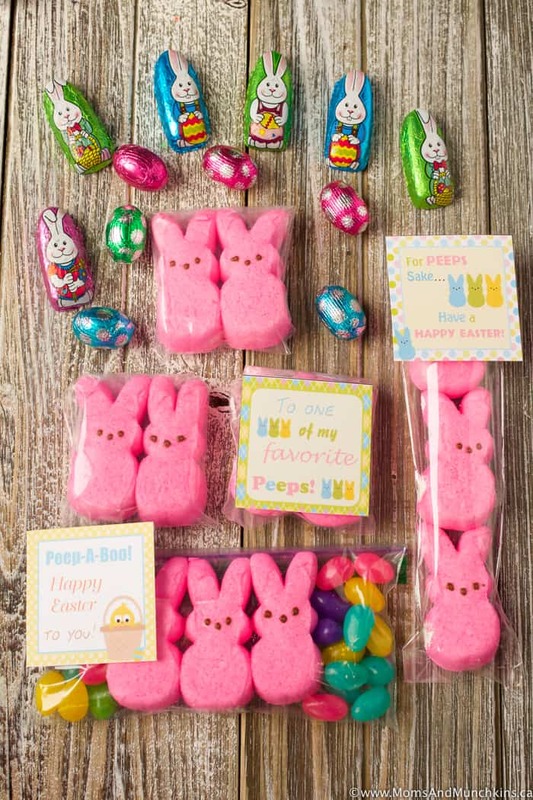 Hoppy Easter – this could be paired with any chocolate or gummy bunny candies. 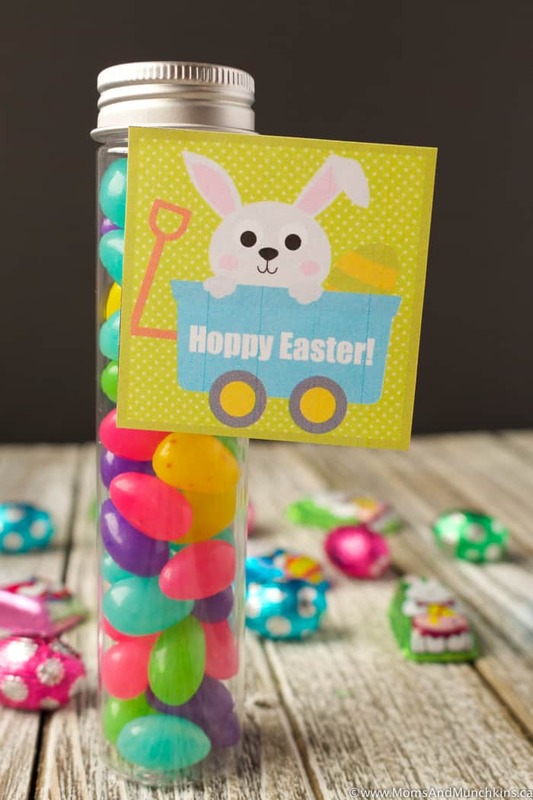 For this one, I paired it with “Easter Bunny Poop” a.k.a jelly beans. 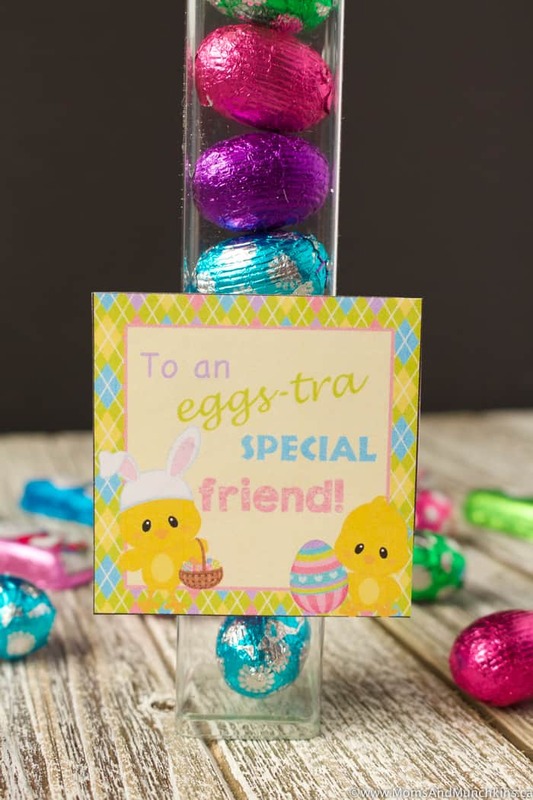 To An Eggs-tra Special Friend – pair this with any chocolate egg sweets. 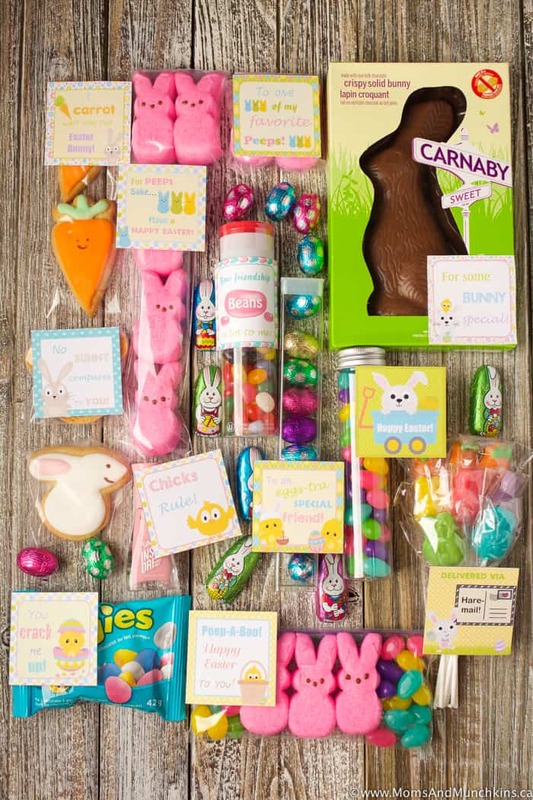 For Some Bunny Special – another tag to pair with any chocolate or gummy bunny candies. 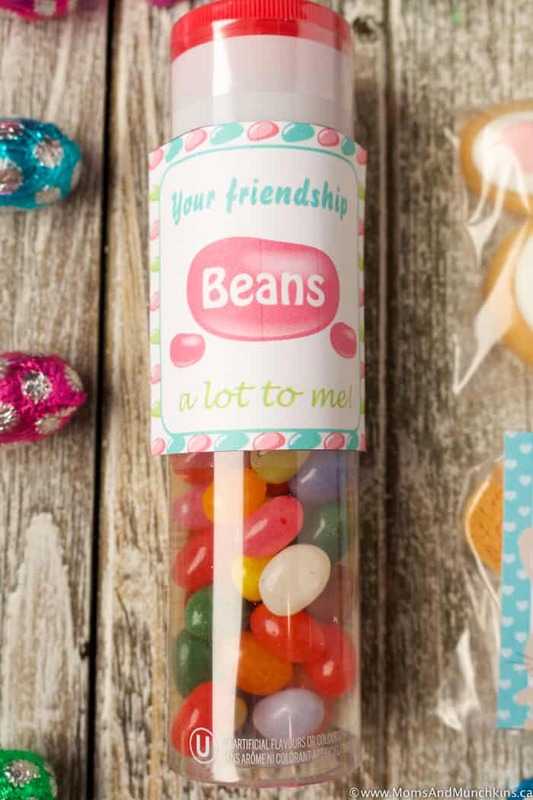 Your Friendship Beans A Lot To Me – really only one option for this one: jelly beans. You could package it up with some kidney beans but that’s more of a mean April Fools’ Day prank. Ha! 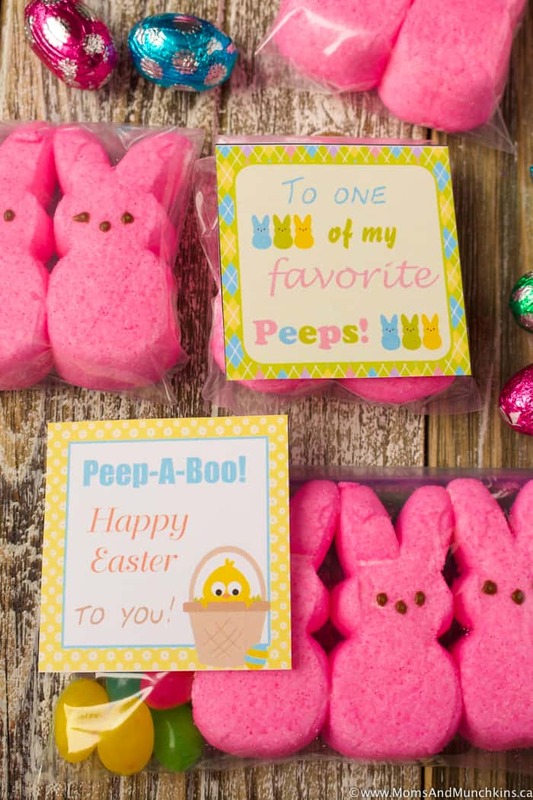 To One Of My Favorite Peeps & Peep-A-Boo! Happy Easter To You! Any Peeps sweets would go with these tags. This printable is available for FREE for our monthly newsletter subscribers! Signing up is free & easy. We have close to 17,000 subscribers that enjoy the special freebies each month! Simply enter your email address, confirm your subscription via email, and you’ll be directed to a Thank You page with a link to the freebies page along with the secret password. This link and password will also be repeated in each of the monthly newsletters. Already registered but can’t remember the password – send me an email & I’ll help you out!